Something which ive been thinking about is how, when we complain about something like stress in school, dont know what to wear, feeling sad you can often get the response, you shouldnt feel bad, there are people who have it worse than you. And so....? What does that matter. I feel the way i way feel. And im allowed to feel that way... just because the kids starving in Africa (which is often the example people give me) have it tough, doesnt mean that my stress in school, and the way i feel doesnt matter. Or is not as bad or equal to someone else? Its like, my sister has very bad acne so whenever i say i have a spot or two - and to me they feel and look huge, but i know they arent. My sister always tells me, i cant complain because she has it worse. Just like ive always been told, i cant complain or say that i feel fat, because im skinny. Like how are those responses even valid? So... i cant feel happy on my birthday, or when i get a present, because someone else is happier than me? Why are we comparing our situation to someone else. Everyone is different, and everyone is entitled to feel a certain way. I hate being told what to do - this is one of the meanings with my Freedom tattoo. People deciding over me, making decisions for me. I hate it. People have done that all my life.... but now i have the power and control, and freedom to decide over myself. But back to the topic. Often people who have ED's can think, im not sick enough or dont have an ED because i eat X calories, while other anorexics dont eat at all. Or, i dont workout as much/often as that person, im not sick enough. But thats NOT how it works. You should NEVER compare yourself to others... people are different. 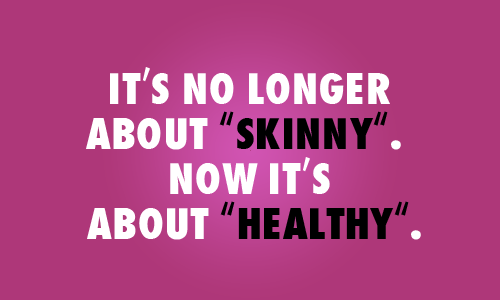 Just because your lowest weight was X and another persons was Y, it doesnt make you less sick. 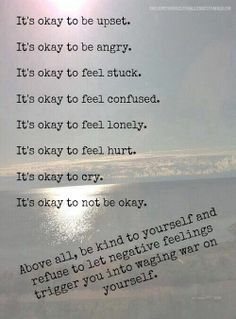 People need to stop telling others how they should feel, or telling them they shouldnt feel a certain way just because someone else has it worse. It doesnt help the actual problem that the person feels a certain way, its like putting a plaster over a cut. It doesnt heal the cut, it just covers it up. You need to fix the actual problem and why the person is feeling that way, not tell them to just not feel that way.